Munich - When Kevin-Prince Boateng announced his return to the Bundesliga after a four-year hiatus, he did far more than merely pledge his allegiance to new club FC Schalke 04. For devotees of Borussia Dortmund, he committed a brazen act of treason. You see, in the Ruhrgebiet you are either for Schalke or pro Dortmund. Under no circumstances can you have it both ways. Those who dare cross the line do so at their own peril. Having come close to signing for die Schwarz-Gelben following a fruitful loan spell at the Signal Iduna Park during the second half of the 2008-09 campaign, Gelsenkirchen was understandably the last place BVB fans expected to see the Ghana international, especially after he had had gone on record just days earlier professing his admiration for all things Dortmund: "I watch every game […] BVB are my favourite team." Obviously, that was never going to be the end of it and, sure enough, Boateng swiftly reneged on his earlier comments, instead singling out die Knappen as the new object of his vacillating affections. "That’s a thing of the past," he told journalists upon his Royal Blue inauguration. "Schalke are my new favourite club now. That's all that counts." 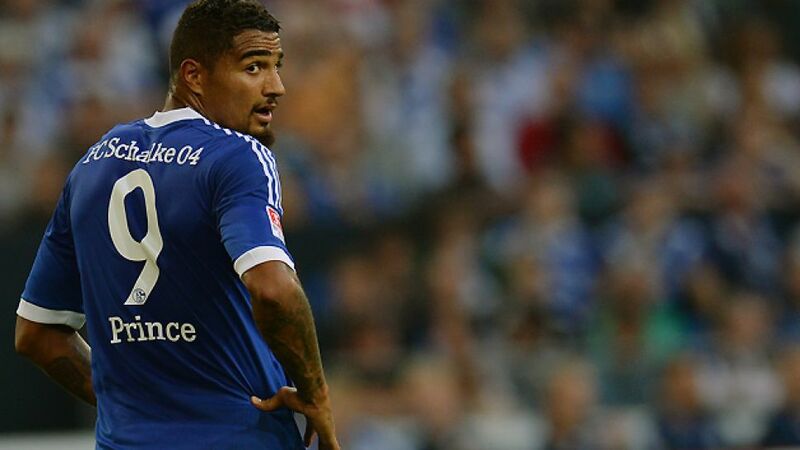 Given Boateng's past dealings in the black and yellow half of the Ruhr, not to mention his fleeting first-hand experience of the Revierderby as a BVB player in the 1-1 draw at Schalke's old Parkstadion on 20 February 2009, you would be forgiven for thinking he could perhaps have gone about things with a little more tact. Yet he is is not the first nor will he be the last to walk over to the purported dark side, with Steffen Freund (Schalke 1991-93; Dortmund 1993-98), Jens Lehmann (Schalke 1988-98; Dortmund 1999-2003), Felipe Santana (Dortmund 2008-13; Schalke 2013-) and Rüdiger Abramczik (Schalke 1973-80; Dortmund 1980-83) just a selection of high-profile offenders caught on the wrong end of a Royal Blue rollicking, a cutting chorus of Dortmund demonization or even both as a result of their treacherous transfer activities. "The first five or six weeks required a lot of getting used to," recalled Gelsenkirchen-born Abramczik after swapping Schalke for Dortmund in 1980. "There were some people inside Dortmund's stadium that would always boo me, but it calmed down once I scored my first goal [for BVB]. At that point I was effectively accepted as an ex-Schalke player […] Both sets of fans really get behind their team. It’s a huge part of many people's lives." That's putting it lightly. Backing Schalke is not your average weekend pastime; much like supporting Dortmund isn't just an opportunity for a day out with family and friends. It is a way of life, etched deep in the souls of two of the most dedicated fan sets known to man. When Dortmund travel to the Veltins Arena on Matchday 10, BVB-come-Schalke star Boateng might well learn the hard way that Revierderbies and double agents simply do not mix.